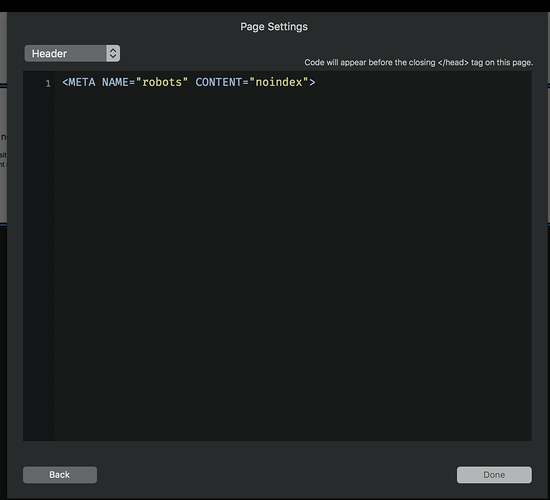 hi, there are certain pages i want as “noindex” for bots. 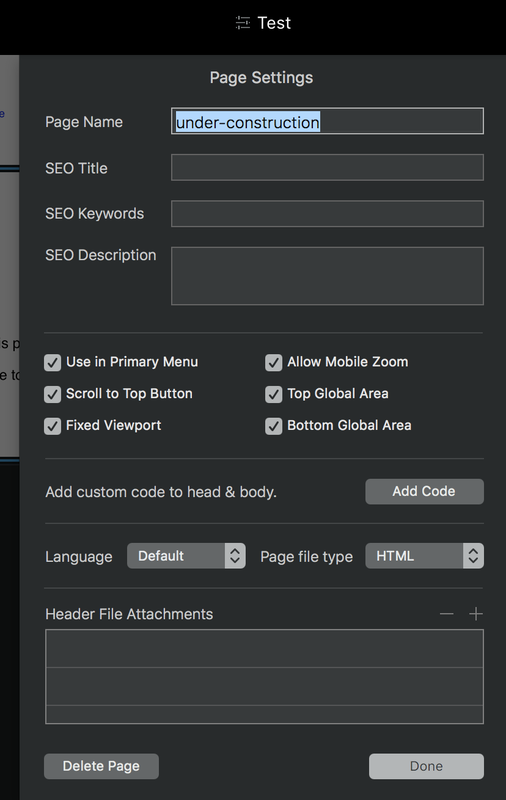 so i click on the header and page settings - but where do i actually put it? unsure if “add custom code to head and body” is going to work. That’s a feature I’d like to see as well. At the moment I think you’ll have to do it via a robots.txt file that you upload to the server separately. You may also have to edit the uploaded sitemap. thanks flashman, its much easier to put it into the page itself and works better , maybe the next blocs upgrade. I agree and I would prefer adding it to the page like that, but I don’t think the end result is any different. Rapidweaver has a lot of faults, but it does this task very well. You can select whether or not a page is indexed and whether or not links to other pages should be followed. Depending on your selections the description below changes to make it clear what will happen and I’d like to see something like this in Blocs. It could be placed in the page settings if Norm wants to keep the main interface clean. Your solution should work, but tick box selections limit the chances of mistakes. i can see how it would be useful and cleaner - although i would change it to “do not index this page” “do not follow links”. 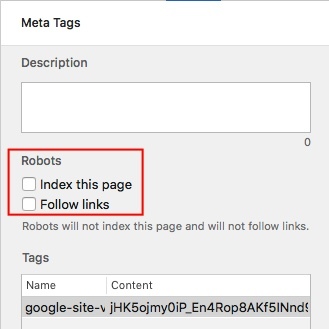 as the majority of pages would want index and follow - and if a noob (creating a webpage for himself) could easily miss this and then wonder or oblivious that his site is not on google search. I can see the logic in that, though the key point is actually the phrase underneath that changes depending on your selection, so it’s clearly explained. It’s actually one of those things that automatically goes on your list of things to check when signing off a page as finished before publishing.